Having a big party? Planning on hungry guests? 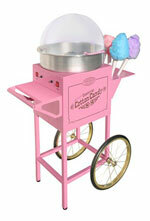 At Kids Party 411 Rental, we've got solutions for your need to feed -- authentic, classic party concession machines. We have a variety of table-mounted machines equipped to easily prepare high volumes of popular party foods, such as: hot dogs, cotton candy, popcorn and snow cones. Enhance the 'flavor' of your next party -- call 862-668-7036 today! Save big on concession machines when you rent them combined with our bounce house unit!! See our impressive package deals. Easy to use; we supply snow cone syrups and cones- you just add ice! Nothing is better than an ice cold snow cone on a special day! 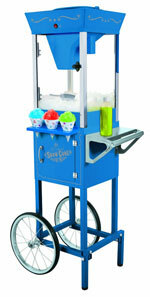 Rent this machine for your birthday party, family party, baby shower or any other type of event. Price quote includes rental, local delivery, setup, instructions, return to our warehouse, and consumable supplies! 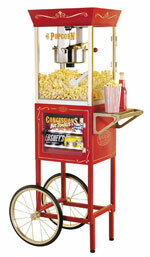 Our Popcorn Machine Cart Rental is great for birthday parties, family parties and other events. Its a great add-on as well. Kids and adults love it!!! It pops some of the best fresh popcorn you have ever tasted.